They’re also part of the fabric of the growing $9.45 billion business of sports tourism, where games of the future are also a pastime. 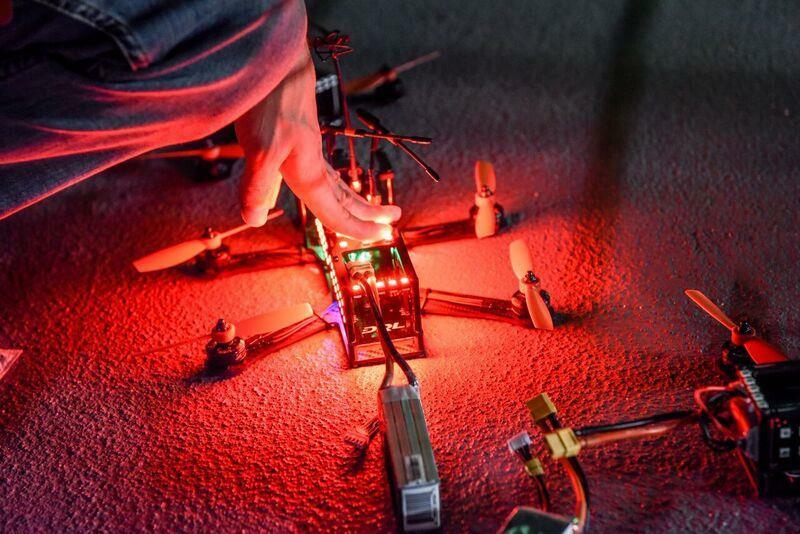 Founded in 2015, Drone Racing League (DRL) is a counterculture sport a la X Games, robotics and eSports. Equipped with its own race specialists and drone engineers, DRL has its sights set on being the premier league for drone racing. DRL’s stars of tomorrow are professional pilots outfitted with First Person View (FPV) goggles that display live images from cameras onboard custom-built drones that cruise at speeds up to 120 miles per hour. What various tech-related media outlets—think Bloomberg, NPR and Wired among others—almost immediately picked up on has trickled down to destination marketing. While DRL represents an industry shift toward the impact of premier event production and brand awareness, Ellefson says its successful entry has come down to relationships and finding the right partnerships. As the industry traditionally understands it—to the tune of $7 billion spent annually on travel related to youth sports, according to the University of Florida—the face of sports tourism is amateur athletics. With more than two decades of experience in hospitality, including hotel and CVB sales, Lou Mengsol has had a window seat for much of that boom. “You’re seeing a maturation of the industry and youth sports is still growing,” says Mengsol, president of the US Sports Congress, an annual conference dedicated to the top-level executives of amateur sport. “It comes down to the traditional sports, the ball sports: travel baseball, soccer and football. None of that is going away, but there’s growth in the emerging sports. Terry Hasseltine, executive director at Maryland Sports, has guided the state’s collaborative sports tourism efforts since 2008 to the tune of $500 million of economic impact secured and $1 billion recruited. He moved to the Mid-Atlantic from Kentucky, where he previously launched Team Kentucky—one of only a handful of statewide tourism organizations with full-time staff dedicated to sports tourism. For Maryland Sports, a substantial portion of that winning formula remains in amateur athletics, as demonstrated by its support of the Mid-Atlantic Amateur Sports Alliance (MAASA). Established in 2014 as a coalition between Wicomico and Worcester counties and Ocean City, MAASA’s mission is to link and leverage combined assets of the three locations to attract, build and maintain the region’s presence in amateur athletics. “It’s more competitive than it’s ever been; amateur sports is a big part of family life and that’s where this has changed,” says Hasseltine. “Kids specialize and parents travel, and we always go back to our core. We’re in the Mid-Atlantic; we’re accessible by car, rail, plane, bike or boat, and our infrastructure allows for great ties to adding a vacation component. MAASA may be a rookie in terms of longevity, but the partnership is already paying dividends. Thanks to the additional hotel rooms that have resulted from the MAASA coalition, events like the United States Specialty Association (USSSA) Fastpitch World Series and Laxpalooza have been able to increase capacity for team registration. Sports destinations are continuing to count on that business being there. Since 2003, The Sports Facilities Advisory (SFA) & The Sports Facilities Management (SFM) has helped plan more than $6 billion in event complexes—including roughly $2 billion within the last five years—for more than 800 communities. While these projects are geared toward tradition—soccer fields for outdoors and basketball courts for indoors—the vast majority are large and flexible enough to play ball or fly a drone. A native of Marshalltown, Iowa, with a family history of sports travel growing up—including a brother that played Major League Baseball— Clement sees the investments as progressive on various levels. To create the right environment, Clement says the most successful projects are deliberate about brand authenticity and proactive planning. “Be what and who you are,” says Clement. “If you are on the beach, be a beach destination. If you’re in the South where hospitality is the brand, focus on being hospitable. Know what you are and utilize that to the best of your abilities. With a three-decade track record of growth, Triple Crown Sports (TCS) incessantly invests with the future in mind. Roland Rivera joined TCS in 1987 shortly after the company was formed, and he currently works in TCS’s baseball division on new event development. 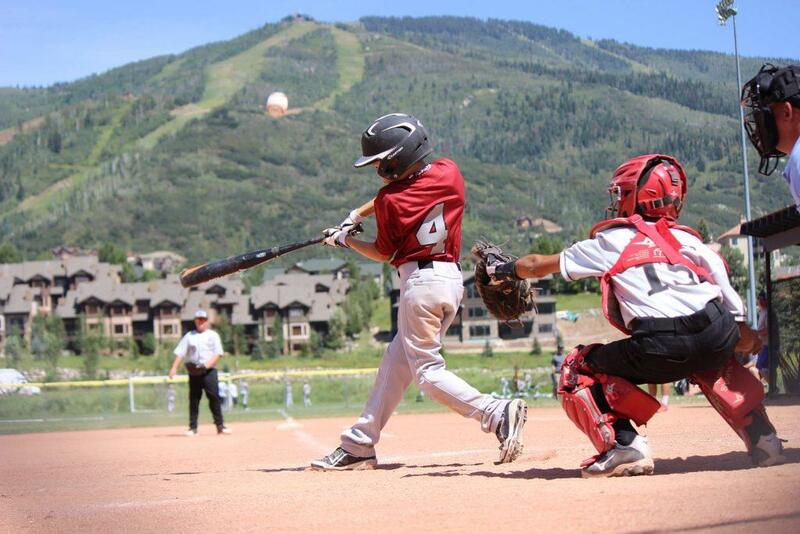 Headquartered in Fort Collins, Colorado, TCS produces baseball, basketball, fastpitch, slowpitch and volleyball events. Some are large and some small, but the standard of Triple Crown—which has 60 full-time employees and hired 30 seasonal staff in summer 2016—is always to operate premier events. In addition to having its own public relations office, the TCS team also receives regular leadership training from its in-house consultants or its staff trips to Harvard Business School. Besides organic events, TCS also has some employees dedicated to event acquisitions. A model example of a Triple Crown purchase is the Colorado Fireworks, an exclusive 150-team fastpitch showcase acquired in 2009. The Fireworks complements two other organic TCS events—the 450-team Colorado Sparkler and 250-team Colorado Sparkler Juniors—for one week in northern Colorado. “Those three events represent our largest economic impact for sports tourism,” Rivera says. “They concurrently happen and generate 40,000 room nights. 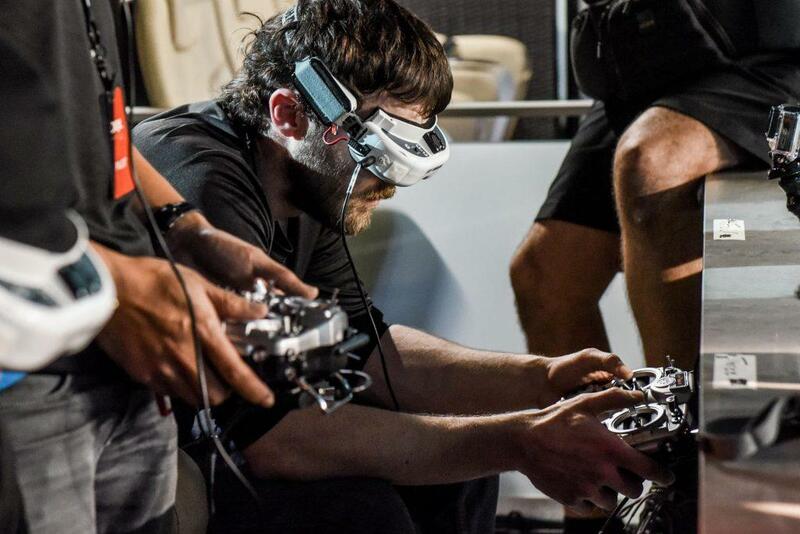 Drone Racing League is constantly calibrating, much like its ball sports counterpart TCS. Yet the team also has another blueprint to follow. Prior to DRL taking flight, founder Nicholas Horbaczewski and Ellefson worked at industry mainstay Tough Mudder (TM)—the former from 2013-15 as chief revenue officer and the latter from 2010-15 as vice president of new event development. Ellefson joined Tough Mudder in year one when it hosted three events. She then traversed the planet—from TM’s Brooklyn headquarters to rural America to Australia and beyond—as TM grew to more than 50 events across seven countries and three continents by 2015. “I knew Nick from our days at Tough Mudder; he thought drone racing was a great idea and needed someone to help bring all the pieces together,” says Ellefson. DRL is cutting-edge and not easily replicated—what Ellefson refers to as technology no one else is using. Event production works in large part because DRL’s talented team includes full-time software engineers and adept marketers who have thousands of hours of content creation experience. That proficiency has surely expedited the sports start-up’s entry and success. 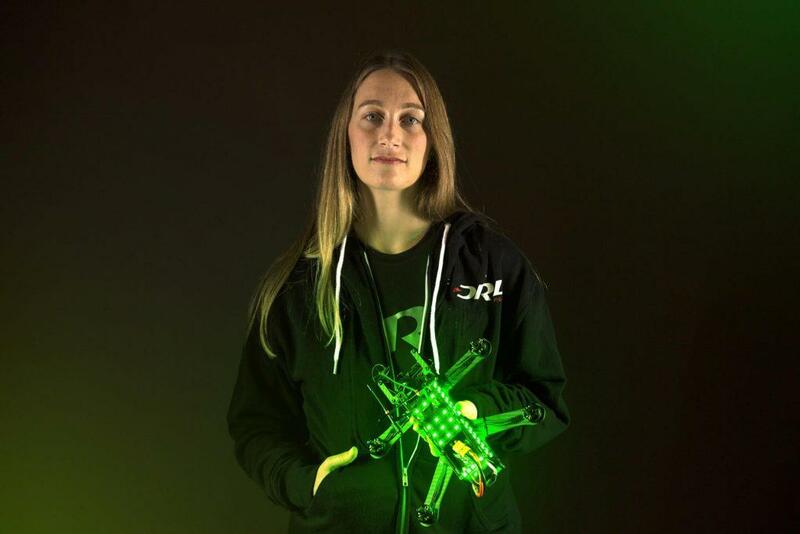 Moreover, Ellefson says DRL is something the team does for enjoyment—it’s their pastime.